In this digital era, the importance of online for food ordering system is increasing day to day and its provides the hotel business into the next level and the revenue of the hotel industry is also increased. So Phpscriptsmall developed Online Restaurant Website Theme to help small and medium hotel website owner. So the offline hotel businesses enter into online for earning high revenue from the website. Our Website theme is easy, fast, and cheap site creation and management. Rather going to hotel or food cafes, people can order their food in their home and enjoy the day. The user can login with the valid username and password and can order the favorite food online through our website within a minute and hotel admin will get the notification through an email or SMS. So the user can get the food in the doorstep with an hour by the delivery boy of the hotel. The payment process in our script will be safe and secure manner.The core features of the Online Food Ordering Website Scriptare Google map integration, social media integration, Enquiry page, secure code, advanced search option, powerful admin dashboard, attractive user interface, gallery manger, Add to cart, secure payment gateway, discount coupon, secure login and registration, profile management, checkout option, shipping option and more on. The customization of our script is possible according to the client requirement and business goal. The code of the script is developed in Word Press. The most important advantages of our Restaurant Menu Listing Scriptare Mobile responsive and SEO-friendly. The main use of SEO friendly is, the website will come in top page of the Google search result page and the order of the hotel will be increased.Without any technical knowledge the website owner can handle and manger our food category, gallery, payment gateway, profile and many others. The admin can easily add, edit and update the food menus, prices, features and more on. Our script supports unlimited menus and category and images. People who want website for hotel with the low budget they can use our website theme.Apart from that, we provide 1 year technical support, 6 months free update of the source code and brand free. After purchasing the script, entire source code will be delivered within 24 hours. This food and hotel booking website theme is developed by our skillful developers and designers and we are leading web Development Company and offering different types of clone script to the clients. 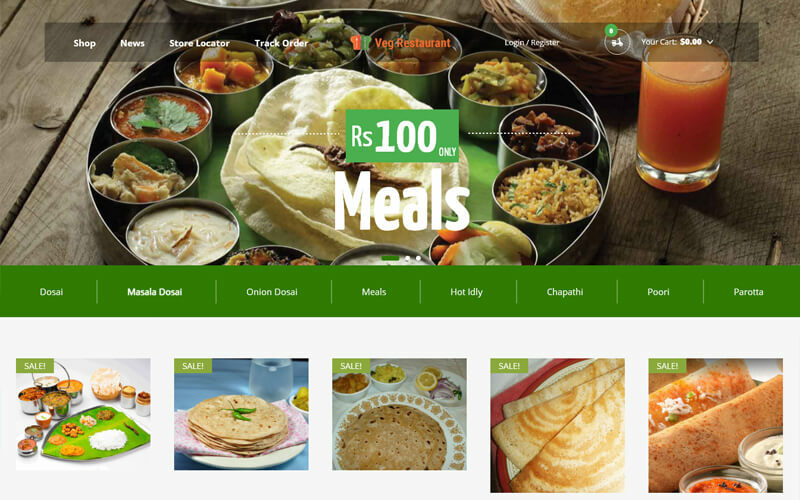 We are the right place to deliver the best online restaurant website theme to the clients. Amazing services given for my Restaurant Menu Listing Script! I would recommend it and loved quick delivery services. Excellent restaurant script and source code is delivered on same day of purchase.You can easily handle the script through admin panel, no tech knowledge needed. This will be my second product from scriptsmall, hope everything going good. Appreciate you guys!